The aim of the medical clinic is to provide free medical treatment and medicine to the local residents of slum society. 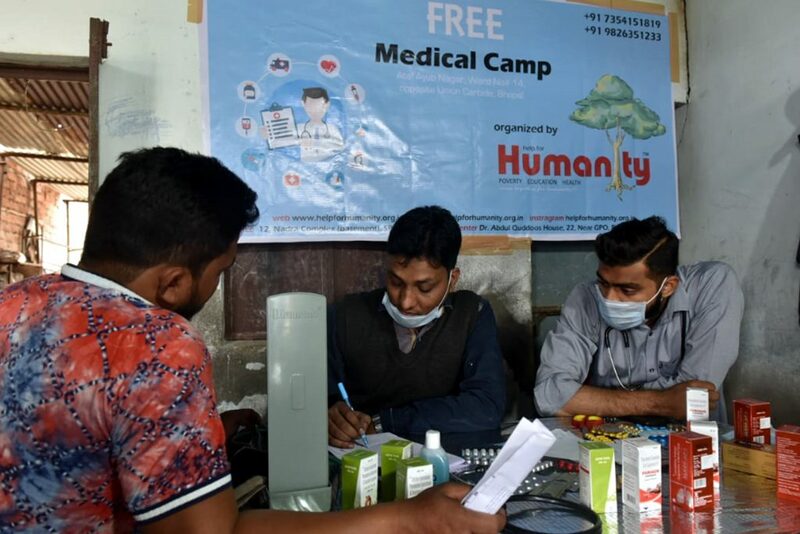 A specially constituted medical team of four doctors and two medical staff conducted the medical camp on 09-December-2018 wherein the team treated the patients besides providing medicines to the needy people. Apart from providing medical assistance, basic knowledge on health education including precaution from common viral diseases was also imparted. Emphasis on importance of hygiene and sanitation were explained to the slum for better living standard. A total of 140+ patients were provided check up and necessary treatment given.